Where does that leave us? With so many energy investors unsure of where the markets are heading, Oilprice.com decided to get in touch with Mike Rothman at Cornerstone Analytics – a macro energy research firm that has produces some of the most accurate data out there. Oil prices may be gyrating up and down, but Mr. Rothman provided some juicy clues for investors, highlighting some key near-term trends for crude oil. Oilprice.com: The IEA has been accused of overestimating global supplies. The WSJ says that somewhere around 800,000 barrels per day are unaccounted for, meaning they are not consumed nor have they ended up in storage. Are these "missing" barrels a big deal? Mike Rothman: The issue has not been one of the IEA over-estimating supply, but rather under-estimating demand. There are basically two ways to arrive at figures for global oil demand. The IEA methodology is built on an estimate of GDP and an assumed ratio of oil demand growth to GDP growth. For the emerging markets in particular, that methodology represents a leap of faith since there are >100 countries and close to real time measures for economic activity rank up there with seeing unicorns and leprechauns. Also, in countries where we have better and more timely data for demand and GDP (like the U.S.), we see that oil demand growth to GDP growth ratio fluctuate sharply. The other way to measure usage (which is what we do at Cornerstone Analytics) is to assess how much physical oil the global system is absorbing. It's called "apparent demand." It presumes global oil production data is close to the mark - which is the evident historical pattern - and that inventory changes in the OECD are the proxy for global storage changes. Basically non-OECD countries use oil on a hand-to-mouth basis with the primary exception really being China -- whose stockpiling has actually been smaller than generally believed. "Missing oil" is the gap that we see between econometrically estimated demand and apparent demand. Historically, bouts of "missing oil" are resolved by the IEA revising up its demand series. The underlying issue is generally an underestimation of oil consumption in the non-OECD countries. OP: Are oil markets actually much tighter than everyone thinks? MR: Yes, in the sense that storage is not as high as generally presumed and yes in the sense that OPEC's spare production capacity is much more limited than generally believed. But, to be realistic, because petroleum stocks in the OECD countries (which is the proxy for global stores) are high, there is no real concern in the market about availability, yet. We think this changes starting in the current quarter because we forecast global oil inventories will be drawn down contra-seasonally. OP: What is Saudi Arabia's position coming into the production freeze? Are they winning the oil war – or are they rather desperate at this moment in time? Data compiled by FGE energy consultancy suggests that Saudi Arabia is losing its leadership position in 9 out of 15 of its major markets. MR: Our sense is that Saudi Arabia put itself in a position whereby it will wait for global supply/demand to rebalance itself. Most market watchers don't really understand that back in 2014, the Saudi aim was about coercing a handful of OPEC countries to make production cuts to counter what was a collapse in the "financial demand" for oil. While Saudi Arabia has been burning through $12-$15 billion per month from its financial reserves to fund government spending through this period, it seems the policy is that the path to a much higher price (and higher revenue) will come about by allowing for a prolonged low price. OP: What can we realistically expect from the OPEC/non-OPEC meeting in Doha? MR: At most, countries may agree to freeze output, which may sound encouraging but in reality is little more than an agreement of the lowest common denominator since they are basically capacity constrained to begin with. To defend a price, OPEC would need to actively take barrels "out of the hands" of refiners – that is, a production cut, the current prospects for which lie somewhere between slim and none. OP: Do you expect oil to fall back below $30 if Doha turns out to be disappointing? MR: No, but that's partly because we think the oil balance will be transitioning into a deficit in 2Q and because many will come to realize that a production freeze is not a viable plan to cause the oil balance to tighten. OP: The oil industry is making massive cuts in investment. Should we be bracing ourselves for a price shock at some point in time? If yes when do you see this occurring? MR: You cannot cut CAPEX and reduce upstream activity and somehow think future production growth goes unaffected. We forecast non-OPEC supply to contract this year for the first time since 2008. That was a way-out-of-consensus call to make a year-ago when most pundits vigorously argued non-OPEC production would still expand even with the drop in oil prices. What we've communicated to our clients – and those we deal with directly in OPEC – is that the spike down in oil prices is basically setting up an eventual spike up. OP: Will bankruptcies in the U.S. shale industry do anything to balance the market? MR: We expect that it will feed into the contraction we forecast for U.S. output. We also see the credit availability issue as likely being a limiting factor moving forward, sort of like what we saw in 1986 and then again in 1999. OP: Where should investors look if they want to put money in the energy market? What types of companies will perform well over the next year? MR: Since energy equities basically trade as a proxy for the commodity, it's safe to say all boats rise when the tide comes in. The ‘beta" names typically include the Oil Services sector and E&Ps. The most leveraged play would be the commodity itself (or a vehicle like the USO). OP: Lenders to the oil and gas industry have been fairly lenient with companies. Do you believe that the banks will start to tighten the screws a bit more as the periodic credit redetermination period finishes up? MR: The old joke is that bankers are the guys who will lend you an umbrella and then ask to have it returned as soon as it starts to rain. Yes, we think lending will become much more highly scrutinized and financing less readily available. OP: Can oil break out from $40 per barrel anytime soon? MR: Sure. All it takes is one outage of consequence. More generally, though, we think oil breaches $40 during 2Q as physical evidence becomes available about inventories drawing down globally. OP: Where can you see oil heading over the next 3 months, 6 months and 1 year out? Our target is Brent crude at $85 by the end of 2016. OP: How do you see the U.S. presidential elections impact U.S. oil and gas policies? 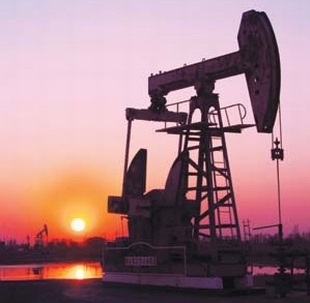 What could be the most radical change for oil and gas? OP: Thanks for taking the time to speak with us Mike.